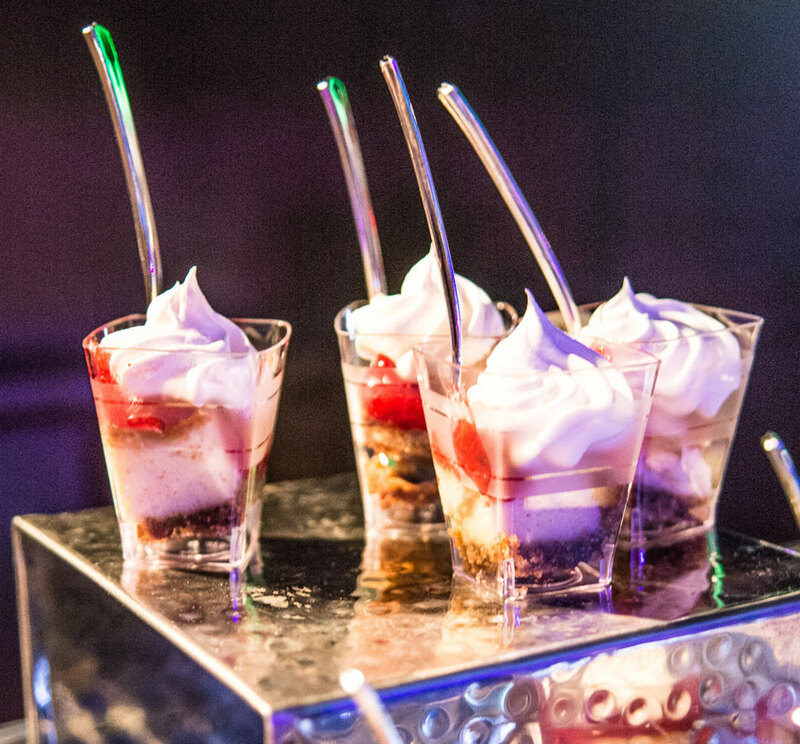 Theme-specific food stations included a “pick your poison” hors d’oeuvres station featuring a mix of different flavored menu options - some showcasing savory or sweet flavors such as chocolate ganache covered bacon strips. 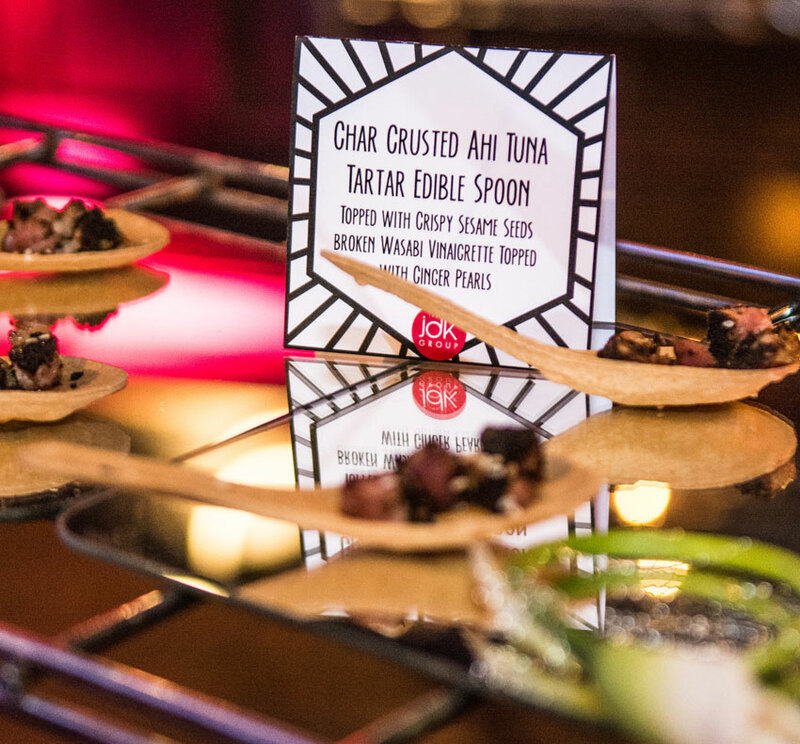 A strolling mirror spoon station held ahi tuna tartar while dessert options featured a truffle shaped as the club’s signature icon - a crescent moon with a spoon. 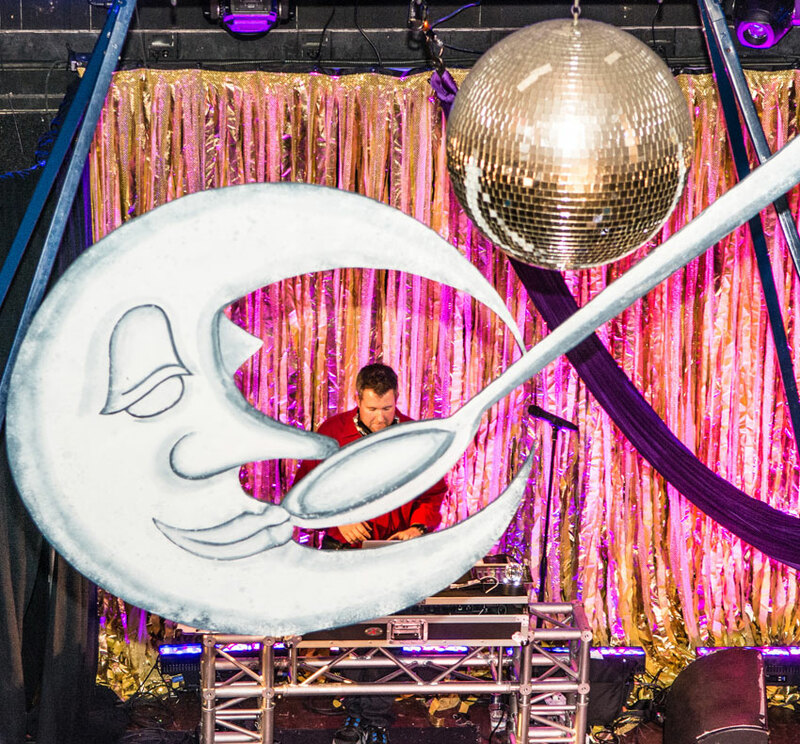 The symbol most commonly recognized from Studio 54 was the large crescent moon with a spoon suspended behind the main stage. 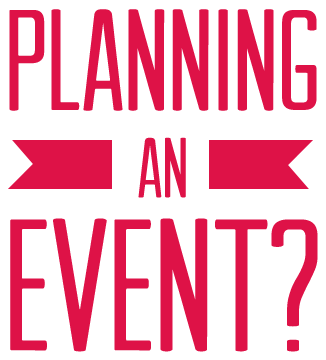 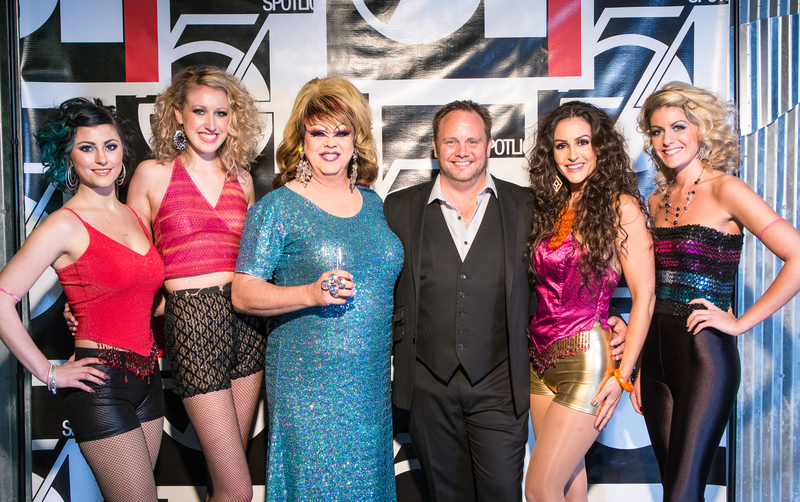 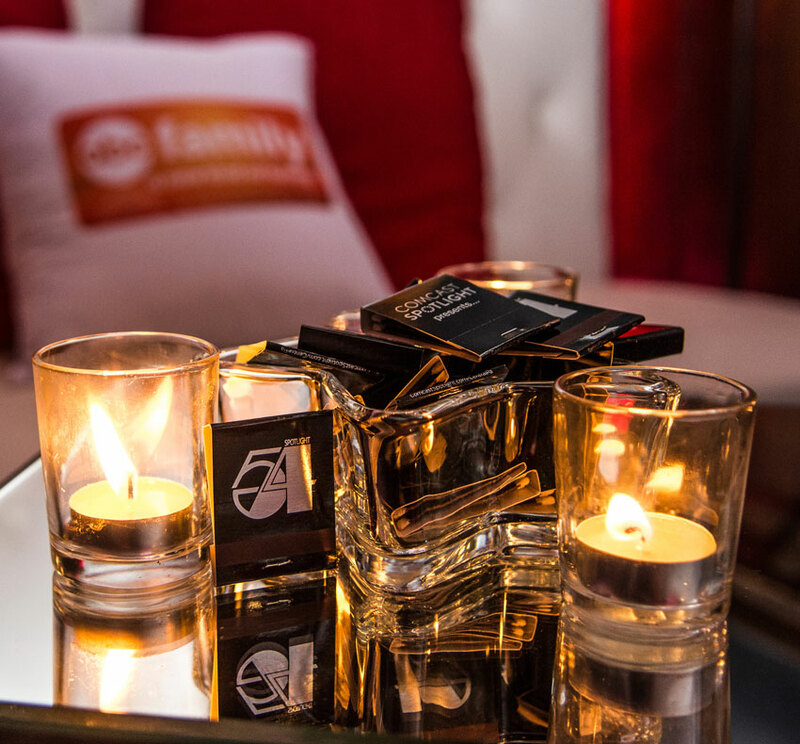 This symbol was re-produced and a centerpiece to the design of the event. 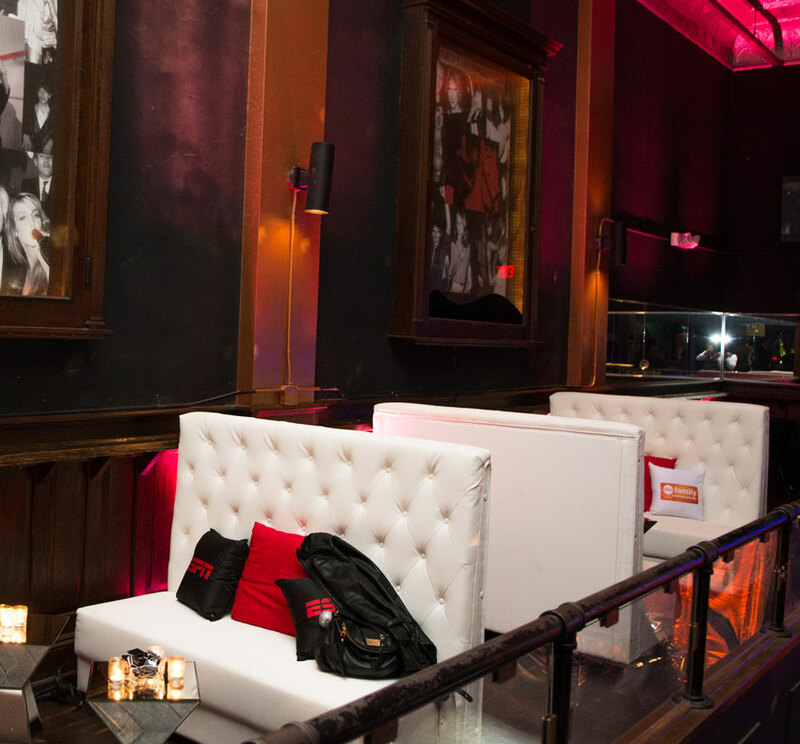 Lounge seating with sleek high back white banquettes with red pillows helped create the exclusive club feel. 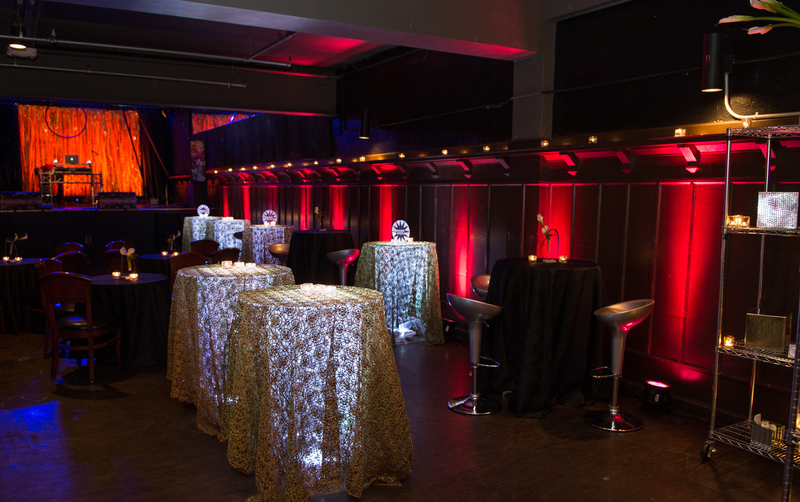 Comcast’s signature red color was a main color used throughout the space as well as regal gold details.